Tim Burton's 'Dumbo' Should Delight, But What Would Happen If He Adapted Every Disney Film? 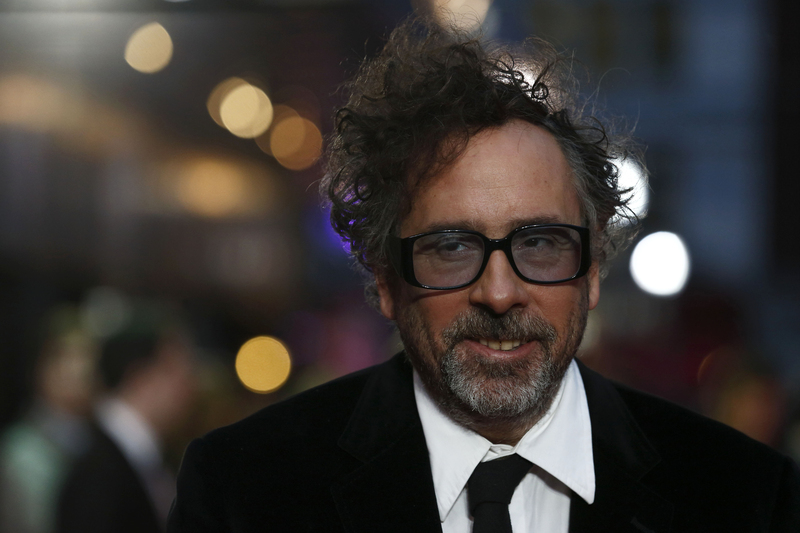 Finally, the dark and gritty Dumbo remake we've always wanted is happening: that's right, Tim Burton is directing a live-adaption Dumbo movie. Confusion has reigned supreme on the Internet, with many asking why, and many more asking how. But my inner 13-year-old mall goth and I are optimistic. Why stop here? What if Tim Burton adapted EVERY Disney movie from now on? Burton already has a long relationship with Disney, dating back to his masterwork Nightmare Before Christmas, ending with his revamp of Frankenweenie, with both films sandwiching the groan-worthy Alice in Wonderland remake. And while I am of the conviction that Alice in Wonderland was the laziest, most made-for-Hot-Topic Burton film to date, I think he knows how to do a creepy revamp. Which is good, because Disney is absolutely in the market for dark-and-gritty do-overs of their original content. I know this is a scary concept in a post-Helena Bonham Carter world. But in my delusions, she's probably awkwardly contracted to a few more of his films, even though they're splitsville. So let's just commit and give Burton all the movies. Bill Condon is slated to direct the live action adaptation, but it may actually be an improvement if we took this out of the hands of someone whose credits include Breaking Dawn. Obviously Burton keeps Emma Watson, but he's still definitely shoving in Johnny Depp as Lumiere. Bonham Carter is Mrs. Potts, having already co-opted Angela Lansbury's role in Sweeney Todd. Lana Del Rey is recording a cover of "Gaston" for the end credits. It's 9 minutes long and tear-jerking. No disrespect to Hercules, but this is all about Hades and the black-and-blue toned CGI underworld that he runs. Burton can amp up the skeletons this way. Michael Keaton is playing the flame haired god of death, Winona Ryder is using her trademark cynicism to play Megara, and Danny Elfman is doing the score. Who put the "glad" in "gladiator"? Nobody. There is never anything to be glad about. Everything is terrible. In this claymation romp, Burton plays upon the same feelings of isolation and being "different" that he did in Edward Scissorhands. This time with Depp voicing Quasimodo, Depp voicing Judge Frollo, Depp voicing Captain Phoebus, Depp voicing all the gargoyles, and Catherine O'Hara voicing Esmeralda. Actually, scratch that, Depp is voicing Esmeralda too. Elephant's Graveyard looks like German Expressionist architecture, which is kind of a strange aesthetic choice considering they're in the middle of the African pride lands. This revival will focus specifically on Woody and Buzz's time in Sid's room, banding with all the misfit toys. Depp will play Woody, losing 34 pounds for the role. Bonham Carter will play Buzz, because why not. Elfman returns to do the score, but keep your eyes peeled for Marilyn Manson's cameo as Babyface. His recording of "You've Got a Friend In Me" is definitely a the highlight bonus track off the upcoming "Music from Tim Burton's Toy Story" album. Bonham Carter IS Mary Poppins, albeit in her best gothic Victorian get-up. Depp is Burt, literally wearing his everyday clothing. Ryder and Danny DeVito play the two Banks children. Everyone is dead. Go.